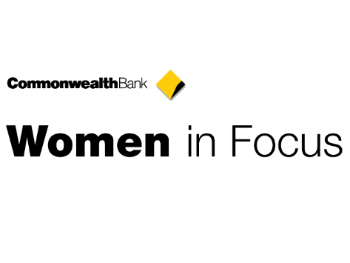 I had the recent pleasure of attending a CBA Women in Focus (@CBAWomeninFocus #womenCAN) event which had been on my look out list. When I saw the title ‘Disrupt or be Disrupted’ I thought I have to go to this (even though it means missing my Thursday track session!). 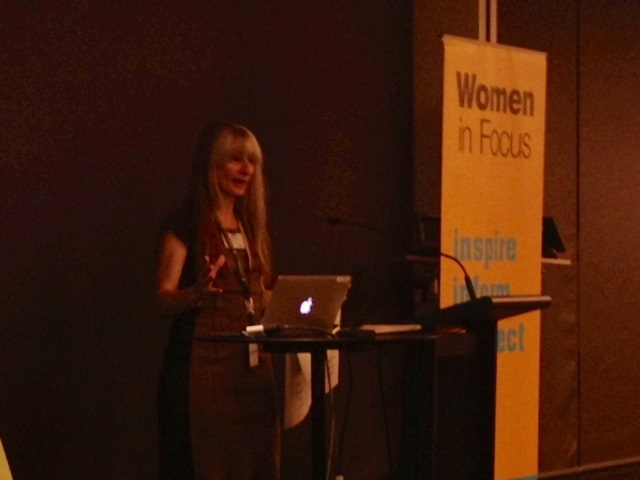 Women in Focus, is a community set up to provide information, inspiration and connection for women in business. I went to the event with my highly creative colleague Sue-Ella and the first fellow guest we saw at registration was Claire Stretch (@Clairestretch) from filmstretch who we had recently collaborated with to make some short videos. (I would highly recommend Claire to anyone looking for professional, cost effective video production!). I love how Sydney has a core close knit group of regulars on the networking circuit making it a real community. Robin Powis (@robinpowis) was another guest who I know through Network Central. Robin is a image consultant, a great Christmas present if you know anyone who would like a fun half day of getting their colour’s done which I experienced recently! As I have written about in previous blogs at the IECL we are responding to the leadership shift required in the modern workplace through our Connected Leadership work integrating Social Network Analysis software to create awareness and mobilise networks which can include discovering the ideas networks in organisations. Onto the topic of the evening: Disruption which has been a business buzz word in 2013. Karen explored how large, risk adverse organisations do not respond well to the word disruption but do so to transformation. 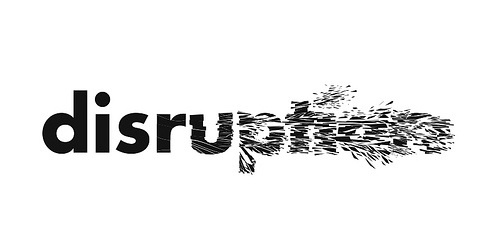 I question, how can we transform organisations without disrupting the status quo? CBA showed an impressive timeline of their innovation journey. Tiz from the team shared how they have collaborated closely with Ideo on a Customer Centred Design (CCD) approach. I came across the CCD approach last year with one of our key clients and it left a lasting impression on me and the importance of ‘looking out’ and observing/talking to your customers. It definitely changes the way you think! Embrace being uncomfortable (like the tension I explored in my adaptive leadership blog), disruption could be your next big idea! If you’re in retail make it easy (e.g. @menulog), engaging (e.g. 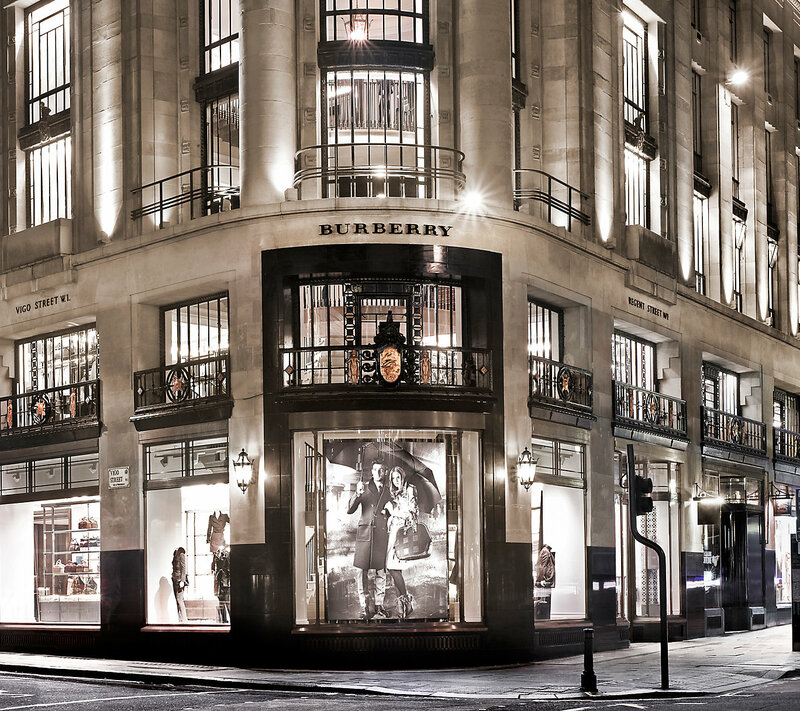 @shazam) and a rich experience (@BurberryLondon) to keep you ahead in the next 10 years! It was then time for a interactive panel discussion. 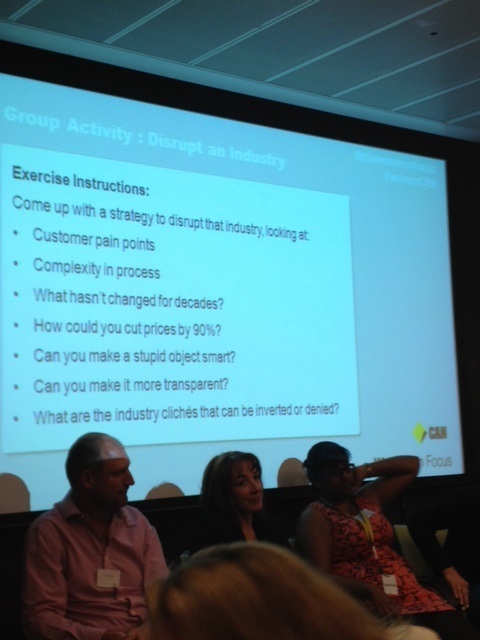 The first question asked via Karen was around the impact of disruption . Commentary included that China had disrupted the Australian manufacturing industry and Australian retailers had needed to respond, I.e. Focusing on lead time. 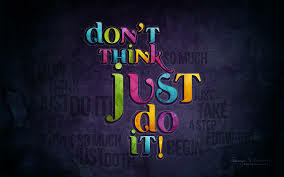 My key takeaways were: Just do it (this is one of my favourite mantras, I love putting things into action to progress! ), it isn’t changing it’s changed (we need to accept this and respond), understand your audience (this is how you win), disrupt before you’re disrupted (to keep ahead), be aware there are no boundaries online and fear keeps you sharp (reminds me of Marty Linsky’s mantra smart risks in smart ways). A question that got my attention as related to my partnerships role at the IECL was how do you find the right person to disrupt from another organisation that you’d like to partner with?. The advice was simple, the risk taking entrepreneurs are easy to find online, the risk adverse corporates are not! A useful statement made was disruption is a bigger risk for corporate giants who have professional, perfect brand images to protect versus a start up who are know for mishaps along the way. I understand yet challenge this, I actually respect large organisations who are taking risks like the recent APSC event I attended on adaptive leadership for all their precious consultants that could have gone either way with its controversial nature! The panelists were asked what they are worried about / foresee in this globalised world of technological advance? They responded with; the way we receive products- there was foresight in the manufacturing space about 3D printers in the future; big data and privacy- including inaccurate data; the later effects of what children do online; loss of IP – with the democratisation of knowledge and more admin work outsourced with the example of Phillipenes based EA’s for $8 an hour. It was noted large org’s have benefited cost wise from outsourcing work to places like India, it was acknowledged now small businesses can leverage this too! Our team was given cars which was interesting. We jumped straight to the big picture, we need flying cars, cars that drive themselves, cars that were synced to your iPhone and became your PA on the go! Then to the environmental footprint of cars, we needed more community sharing, cars without rubber tyres etc. The panelists were roaming and tended to lure to our table as there was lots of food left! We had some very valuable direction from them. We were concentrating mainly on the exterior of cars which hasn’t changed much in decades. Where the disruption could more realistically be is with the user experience inside the car. 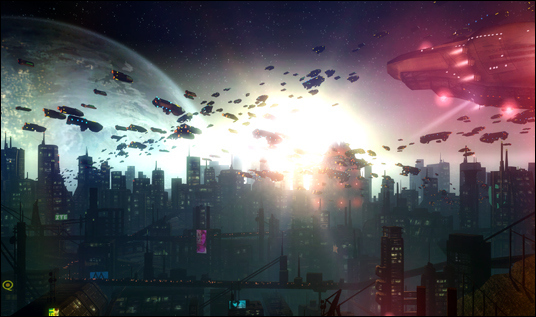 This was a aha moment for us and we suddenly latched onto an idea cars of prey like shoes of prey. Design your own car! Similar to Trek’s project one for those who are into bikes. We were then hubs of ideas including all things customisable: fabric, colour, scent, music system, dog /baby seat, make up bag holder, massage function, the list went on. And of course to get the costs down by 90% all manufacturing was going to be outsourced to Asia! Each team then that 2 mins to pitch their idea to the wider group. Claire was our presenter and did a great punchy job of getting our message across. There were nine other great presentations with some fantastic industry disruptions including a bra scanner that finds your exact size which can then custom make any style on the spot, a crowd favourite. Our disruption was voted second by the panel judges, well done team! A very fun experience which I recommend others to replicate! I know Sue Ella and I will be challenging the IECL on how we can disrupt the coaching and leadership industry which we’re already started doing through innovative client solutions and connection leadership initiatives! So how you you help your organisation embrace disruption? An idea we’re trialing is creating structure for it through an ideas box and will be setting up regular discussion forums, a disruption network! In conclusion, my high event expectations were definitely met, what an amazing group of women in the Women In Focus community with superb business acumen plus the ability to have serious fun! I will be back. I’ll finish with the title of the blog, Disrupt or be disrupted! Very thought provoking, well done and thanks! Great blog Dani, thank you for helping me relive a fab event.